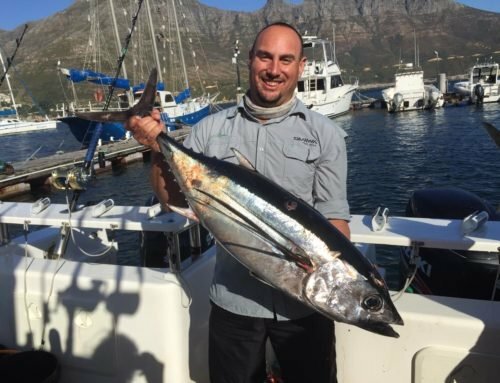 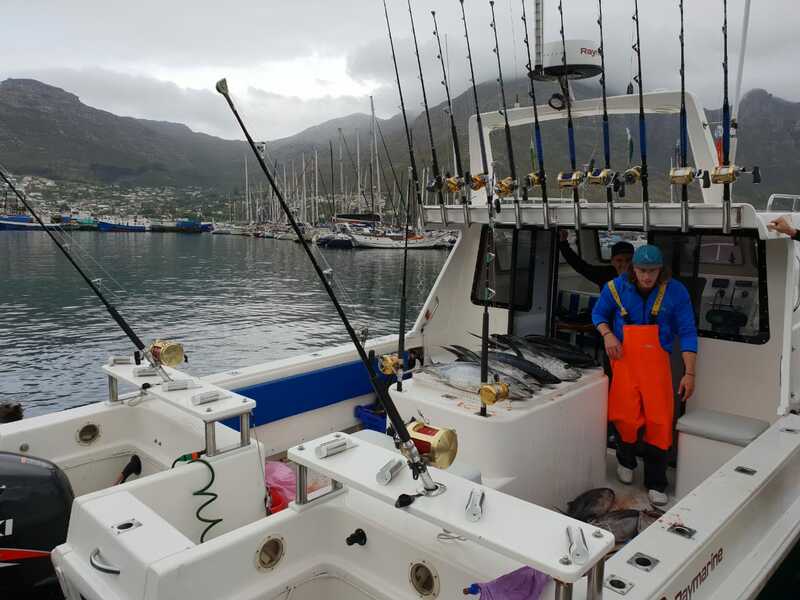 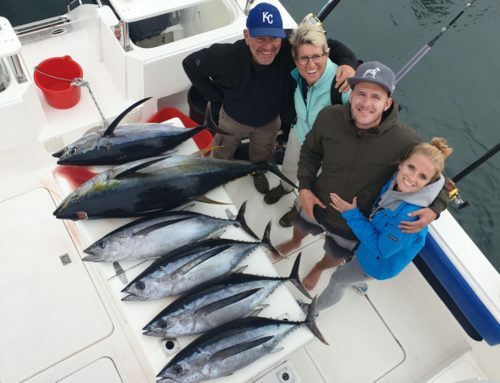 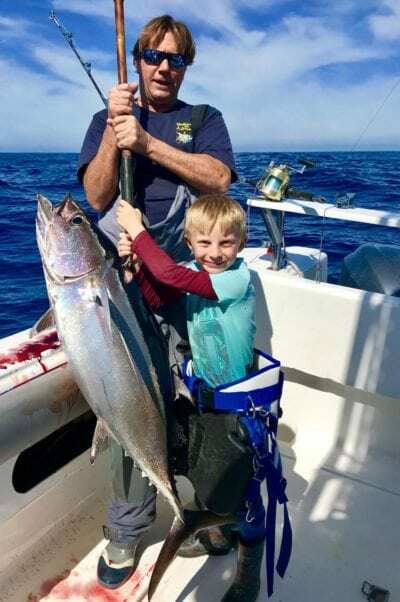 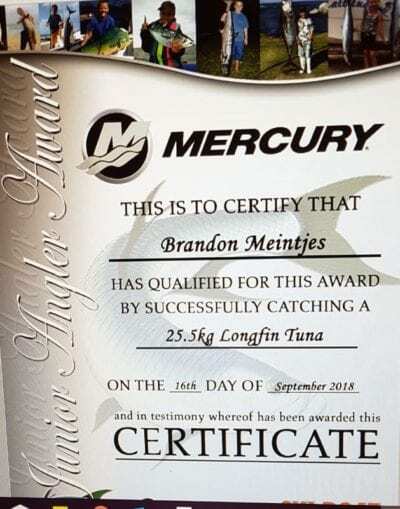 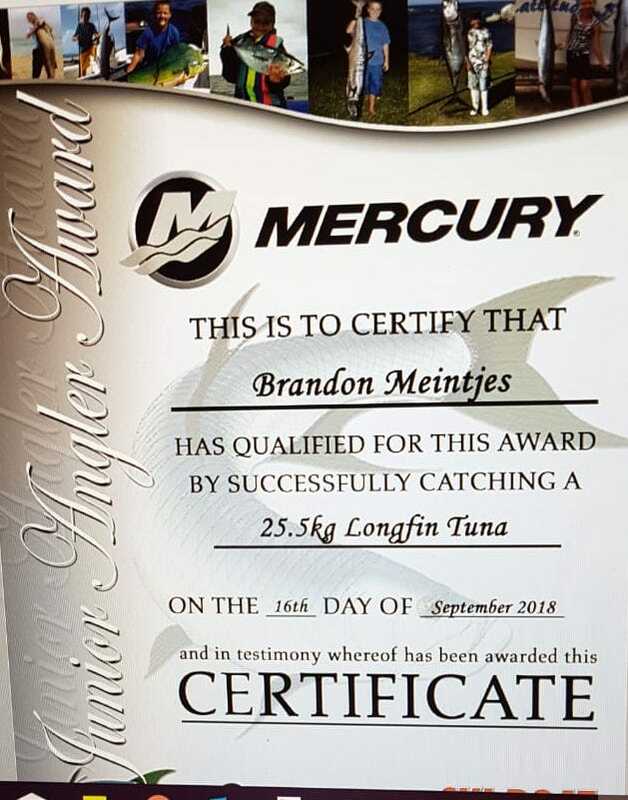 We delivered the goods on a days Dads n Lads fishing outing as our 7 years young junior guest angler Brandon Meintjies caught himself a decent 25,5 kg Longfin Tuna caught whilst out fishing with family and Captain Sean. 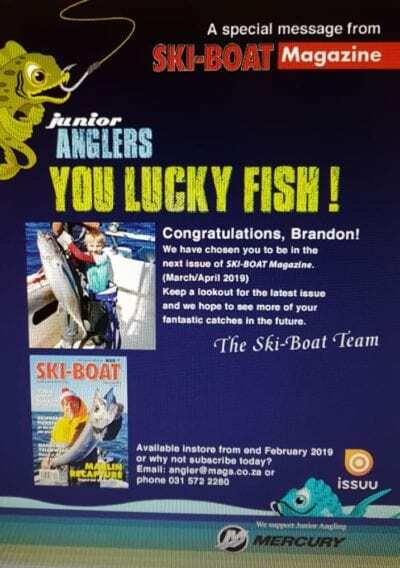 Brandon received Junior Angler Award and has been chosen to feature in the Ski-Boat magazine March / April publication. 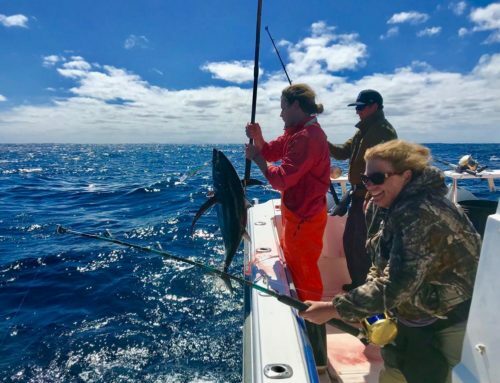 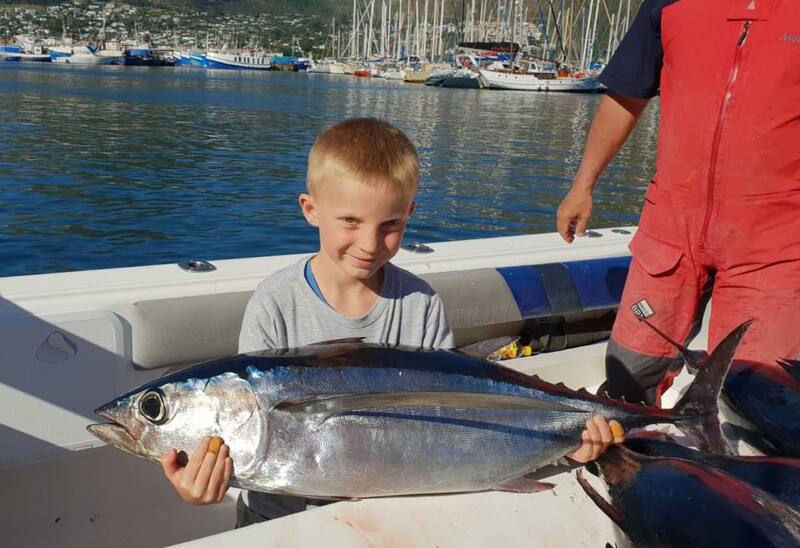 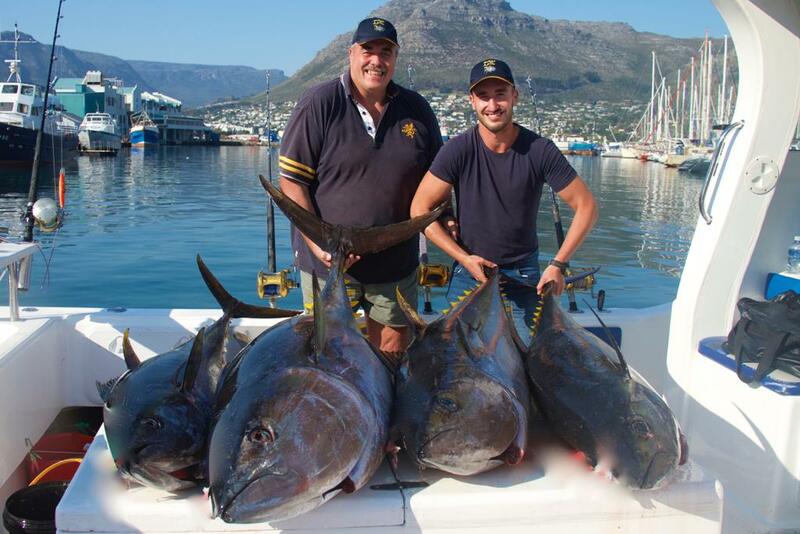 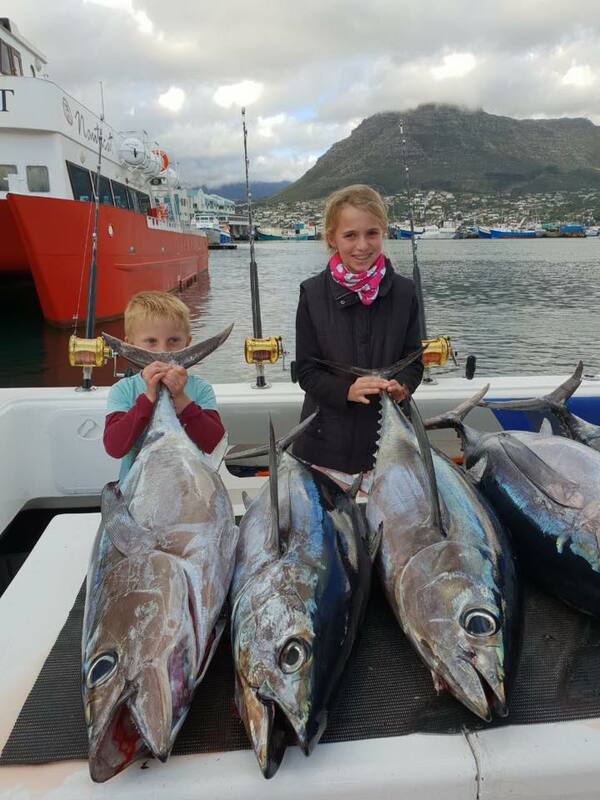 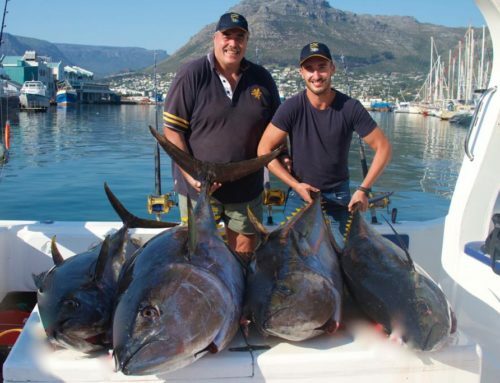 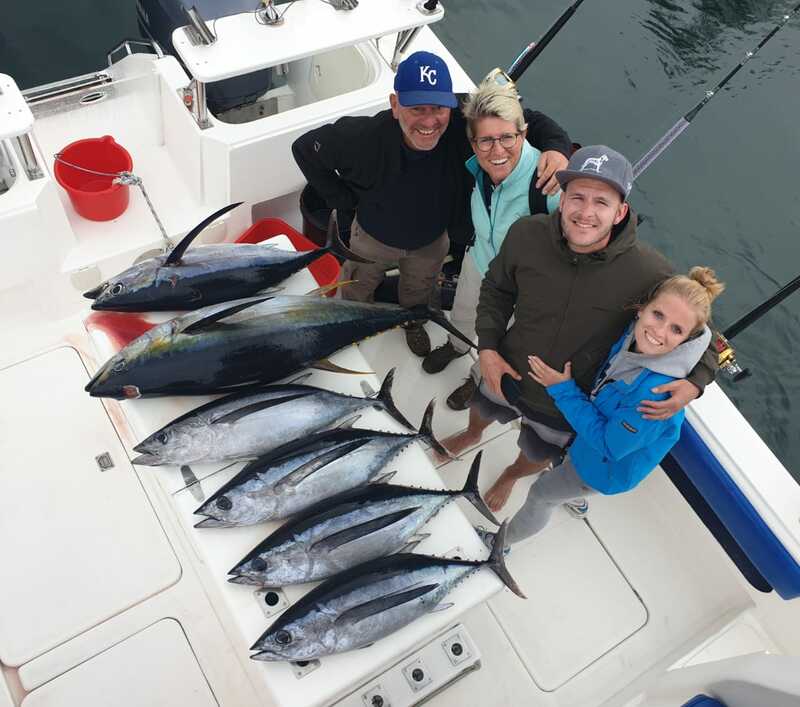 Youngster gets junior angler award for catching a 25,5kg longfin tuna	Overall rating:	5	out of 5 based on 4	reviews.